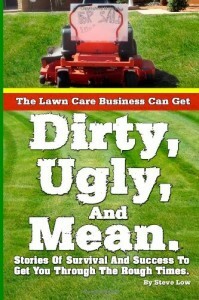 « Low Ballers, Part Timers, And Self Employed Landscapers. 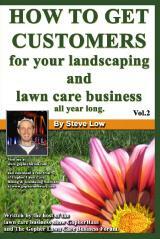 Learning the lawn care business as you go. 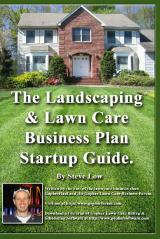 Should you start a lawn care business before you have studied all there is to know about the business? Or can you get started with no experience and still find success? 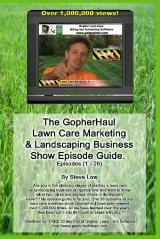 That is a question which was brought up on the Gopher Lawn Care Business Forum. As we will see from this discussion below, sometimes you just don’t have time to learn anywhere else but on the job and that will have to do. 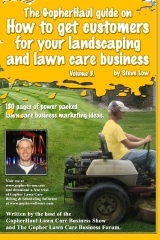 One lawn care business owner said “I’d like to say I respect you all. I respect anyone who has the guts to go out into the unknown, put in the work, and become self employed and successful. I salute you! That is the American dream for me. A little about myself. I’m a 26 yr old veteran. I have 5 years in the Active National Guard. I was deployed to Iraq as an Artillerymen firing cannons. A few years later, I found myself in Afghanistan. For the most part my full time job work hours are 7am - 4pm and I know in advance if I’m going to be out of town or not. That leaves me with a lot of consistent available time in the evenings to work a side job and get my business started. I’m pretty handy and have done a few remodels. I like doing renovation type work but it’s really time consuming. There are a lot of unknowns when taking on such jobs. I feel like I’d much rather work outside and know what to expect. 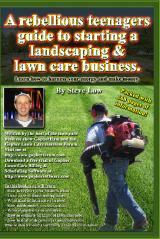 Which leads to my passion for landscaping. 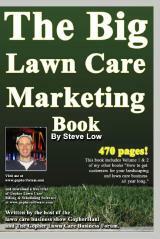 I love to stare at a nicely striped lawn with clean edges. I want to do this. I’m not greedy. I don’t want a huge business. Honestly I would be happy with a one crew operation. I just want to be self employed where I’m the boss for a change. After being in the military, I have developed some authority issues. 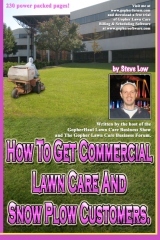 I’ve landed a few mowing jobs advertising on craigslist and have already made a few rookie mistakes I can tell. I like to consider myself a smart guy. 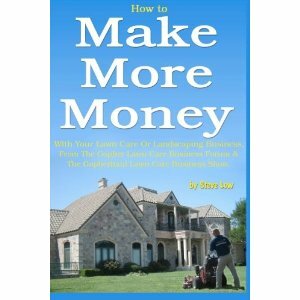 My problem is I never have a role model to show me the ropes. I’ve always been forced to go out and learn the hard way. At this point in my life I feel like I am putting in the work, time, and effort to research as much as possible and learn what a lot of you guys already know. It’s amazing how many things happen I didn’t even think of. All these hidden hazards that are out there which I need to be watchful for. For example I ran over a long metal coil that was hidden in the grass and wrapped it around my blades. 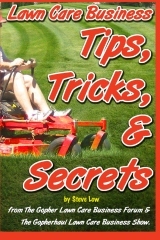 By the time I realized it, I had drained my battery trying to re-start my mower. I misdiagnosed the problem and wasted money on a solenoid and then a starter. 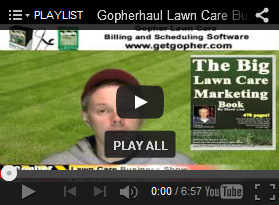 To save time, I was hoping I could give rough mowing estimates over the phone based on the customers description of their property and that turns out to be a huge no-go. I showed up to a job that was 90% weed eating on 2 acres and only 10% mowing. Since it was my first customer I didn’t have the fortitude to adjust the bid. A gallon of sweat later I do now! I am mowing with an old 12hp/38″ cut ride on tractor. Everything on it is functional except for the headlights and starter. It was given to me for free in horrible condition but the motor was strong. I rebuilt the axle and got it working. When I landed my first weekly client I began to realize this tractor wasn’t going to work for me so I am now looking to upgrade to a walk behind. I found a 36″ commercial grade mower in my area with an engine that has an oil leak. The owner is asking $550 but I am going to try to talk him down a little more. This is the best deal I’ve come across so far so I’m pretty sure I’m gonna jump on it. I’m slowly putting together some half decent reliable equipment and taking it slow while I work all my bugs out and make my mistakes. It’s late in the season and we are in one heck of a heat wave. I barely have to maintain my own lawn. 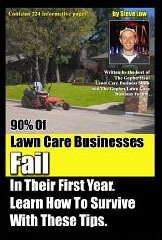 A second lawn care business owner said “in a perfect world, we would have all the knowledge we needed before we got started in this business. But life isn’t perfect. Sometimes you get thrown into the deep end and need to learn very quick or you are going to sink. Maybe at first you don’t learn a graceful way to swim, but anything to keep your head above water will allow you time to later perfect your skills. I’m learning as I go as well. 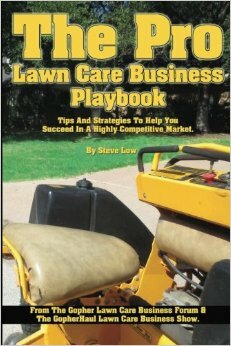 I got into lawn care as a means to keep from losing my home after having no luck finding work in my field. After a scary slow start this spring, things have picked up nicely for me. The work is the easy part (sort of) - it’s things like learning how to bid a job and/or calculate how long it will take to perform a job that is tough. Every job is a learning experience, as is every phone conversation with a potential client, and every estimate that is given. 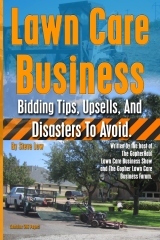 This entry was posted on Wednesday, January 14th, 2015 at 7:12 pm	and is filed under Lawn Care Business, Lawn Care Customers, Pricing, Problem customers, Start up, Trials and Tribulations, lawn care equipment. You can follow any responses to this entry through the RSS 2.0 feed. You can leave a response, or trackback from your own site.